You may have heard that Beachbody is a Multi-level Marketing (MLM) company. Yes, it certainly is and direct marketing is the perfect business for you if you are actively engaged in social networks on the Internet. Here’s why. Social networking brings people together in online communities, who share interests and activities, or who are interested in exploring the interests and activities of others. 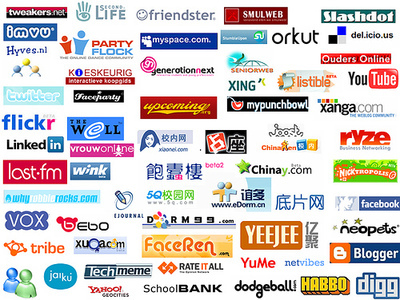 Social networks provide many ways for users to interact with each other and millions of people use them. MLM is a type of network marketing. Traditionally, the products of an MLM company are marketed directly to consumers and potential business partners by means of relationship referrals and word of mouth marketing. It’s no surprise then that MLM is such a natural fit in the social networking landscape of 2009. Social networks like MySpace and Facebook have already proven how you can make money from the efforts of thousands of users that “play” together online. Did you know that over 41 percent of the population interact on social networking sites at least once per month? Facebook alone now has over 200 million users. That’s a pretty large audience for you to “speak to” about products you are passionate about. Does this mean that the traditional MLM model of interacting in the real world is dead? Not at all. It simply means that a whole new channel has opened up for you to conduct your Network Marketing business. Beachbody is exploding now. With over $90 million in advertising per year, Beachbody is already a widely known brand. Sign up as a Beachbody Coach today — this is a great time to build your business. Create a great profile on your favorite social network, let others get to know you, and you can potentially spread the word to thousands of people about your business. Happy networking!